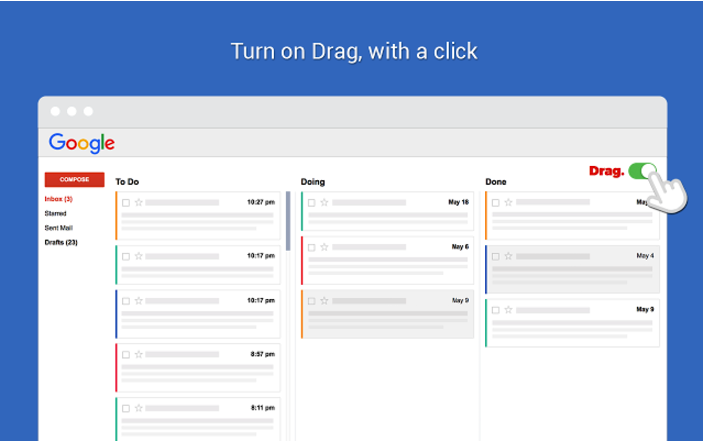 Drag is a free Chrome extension that turns your Gmail into a manageable workspace. 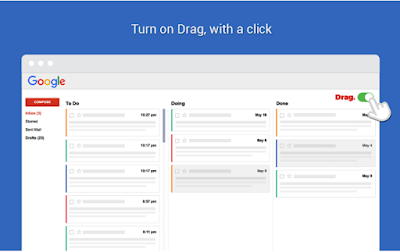 Drag is similar to Trello but for Gmail. You can use this extension to effectively manage your emails. After you install Drag, you will see a change in the layout of your Gmail. You will have three stages : To Do, Doing, and Done. By default all of your emails are saved in To Do and from there you can easily drag and drop emails into other stages. Drag also offers a premium version with advanced features such as ‘share Task Lists. Customize and share Task Lists between teams; add custom tasks; manage emails and add custom Tasks to your Kanban boards; tag emails with Notes. 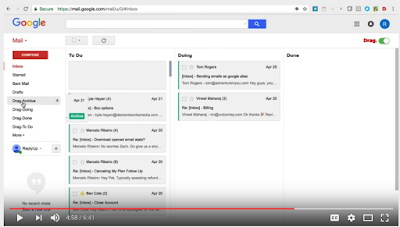 Add notes to each of your emails and Tasks.’ Watch the video below to learn more about Drag.